A Second Placement with Building Trust! Well, I am very excited to have gained the WOD placement with my chosen charity Building Trust for a second year running. This year I will be continuing my work developing relationships with Universities to promote design as a tool for social change. I look forward to implementing several design briefs to Universities in the UK, Europe and USA in a hope to challenge students to come up with innovative design solutions to humanitarian problems. Through doing this we hope to get students and tutors thinking about interesting design solutions and encourage them to use their skills to help those most in need. I look forward to sharing with you details of the upcoming University projects. I will also be discussing the projects we are currently setting to our International volunteers developing research on a variety of areas which we feel need to be analysed and studied in more detail. Building Trust has a large network of design professionals, engineers and architects who donate their skills to worthwhile projects. If you wish to participate in our volunteer programme then please do get in touch. During my Vodafone WOD placement, I will also be giving an update on the ‘Moving School’s project which I blogged about last year (see full details of my previous blog here). 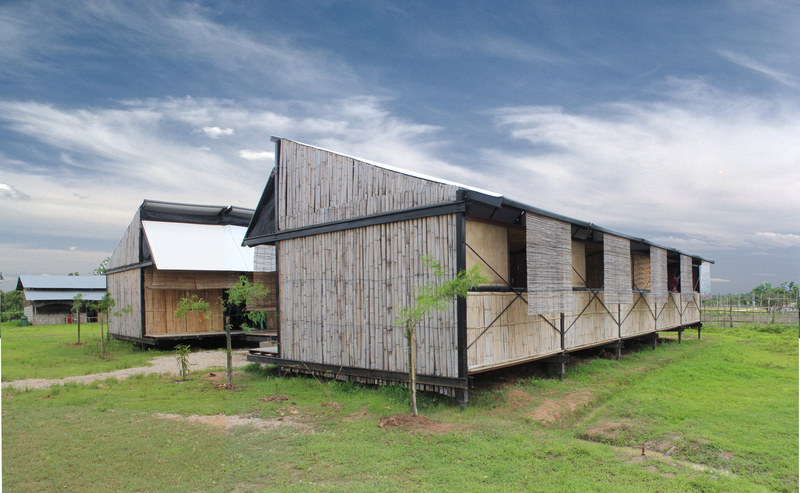 The ‘Moving Schools’ project provided a mobile, modular school for 150 migrant refugee children in the town of Mae Sot on the Thai/Burma border. 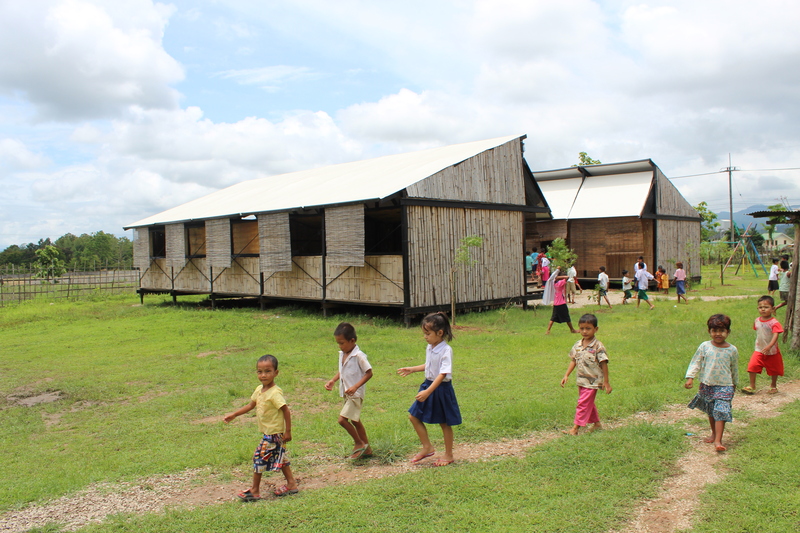 I am very pleased to share with you the latest pictures of the school which is now in full use. 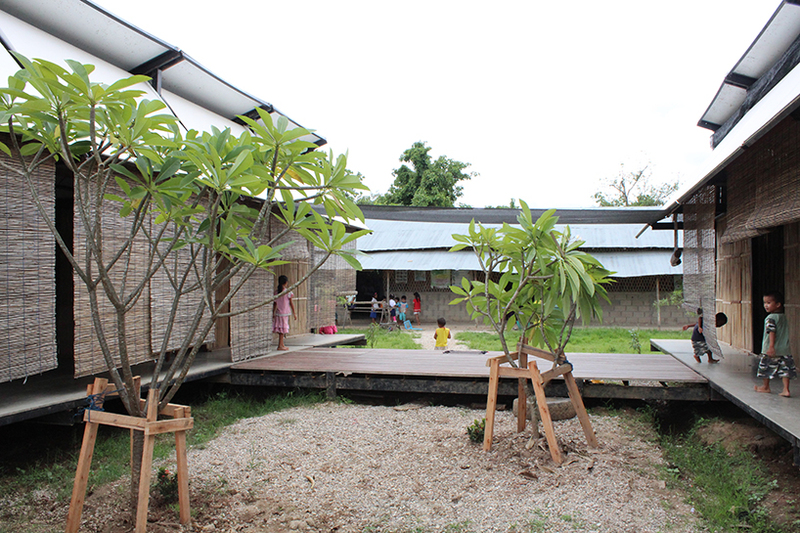 The school build took place between June – October in 2012 and was constructed in partnership with Youth Connect, local craftsmen, international volunteers and the Building Trust team. 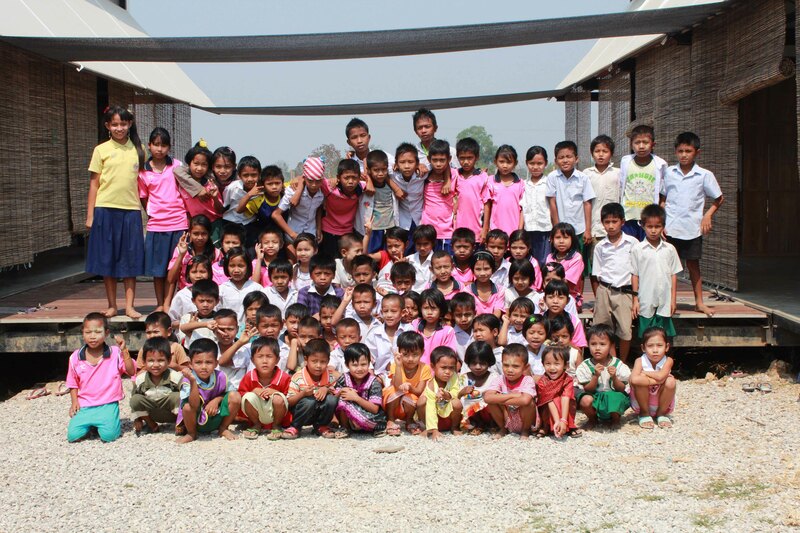 In a recent visit to the school it was fantastic to see the excitement and happiness on the children’s faces as they sat in their new school building. In the previous building students of all grades took their classes in one small dark building, the students now have their own individual classrooms which are light and airy. It was fantastic to hear in discussions with the school teachers that the new building was having a positive impact on teaching and learning. The classes were easier to teach due to having separate classrooms, which provided a quieter place to teach, giving students increased concentration. It was great to discuss with Chan Chan (the headmistress) and the school teachers the benefits and issues with the new building. Although the main feedback was very positive, some additional components need to be added to the structure to ensure the building is watertight for the upcoming rainy season. We will be working with the apprentices from Youth Connect to ensure the building is prepared for the weather. Chan Chan also wished for one of the classrooms to be completely blocked off to allow a library and storage room to be added to the building. In order to add a personal touch to the building, we decided to hold a school photo day taking photos of each grade with their teacher. As we approached the school, we could feel the excitement in the air as the students all dressed in their best clothes formed a line along the old school building in preparation to have their photos taken. From the adorable Kindergarten class who wore their princess dresses and traditional outfits to the grown up Grade 6 boys who stood proudly at the back, it was a truly magical day which I hope all the kids enjoyed. We look forward to printing the photos off for the students so they can place them proudly in their new classrooms. I look forward to sending details of the University projects in my next blog!